It is good to be back with you. I’ve been looking forward to this day for the past month because it meant we could share our new logo! I am excited about what the logo means and how it can help convey who we are to our community. And I’ve been looking forward to this month for the past year. It was about a year ago that I woke up and realized, “hey, it’s going to be the 500th anniversary of the Protestant Reformation.” So it’s good to be back, but let me tell you about last week. We were in Plains, Georgia. 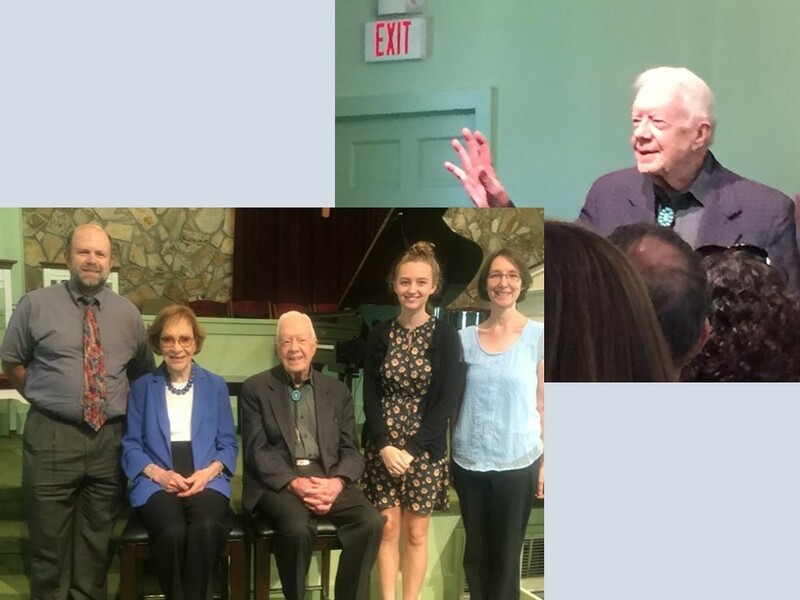 One of the things we’ve talked about doing for some time was to attend Jimmy Carter’s Sunday School class. So we headed over to that end of the state on Friday, spent Saturday visiting Carter’s childhood homestead, along with Andersonville and the National POW museum. We went to bed early on Saturday. We’d read that one should arrive at church by 6 AM to ensure a seat in President Carter’s class. I was going to have to get up earlier than I normally do on Sundays! We pulled into the parking lot at Maranatha Baptist Church a little before 6. Sixteen vehicles had arrived before us! It was pitch dark and I was able to get another hour or so of sleep, only to wake up with a Marine walking a dog around the parking lot sniffing cars for bombs. That was a new church experience for me! At 8, we were lined up and after going through our pockets and running a wane over us, checking for weapons, we were allowed to enter the church. We were on the fifth row and had another two hour wait before Jimmy came out. Carter was beginning a new study on Galatians and gave a perfect introduction to grace and faith. By the way, last Sunday was also his birthday. We didn’t know that until we were in Plains and people started asking us if we were there to celebrate his birthday. He turned 93! There is a lesson from his example—don’t think you’re too old to do God’s work! 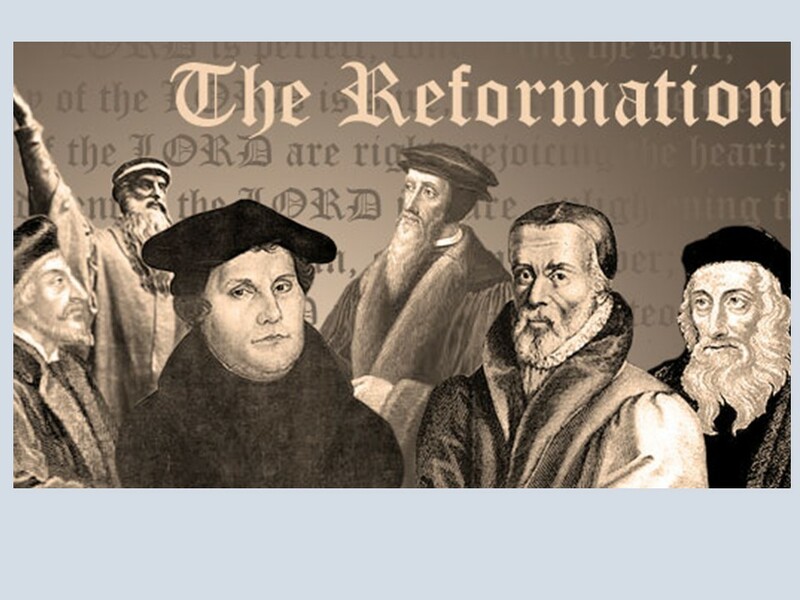 We are on a journey this month that fits right into President Carter’s Sunday School message as we explore the great themes of the Reformation-the Solas! Grace Alone, Faith Alone, Scripture Alone and Christ Alone. One of the concerns of the Reformation was salvation. How can I be saved and how can I be assured of my salvation. Martin Luther and others questioned the Roman Catholic position that salvation was found in the church, a mixture of God’s grace and human effort or work. The problem with that understanding is what’s enough? Luther, studying the book of Romans, discovered that salvation didn’t come from his efforts but by God’s doing. The idea that we are saved by grace through faith in Jesus Christ is liberating. 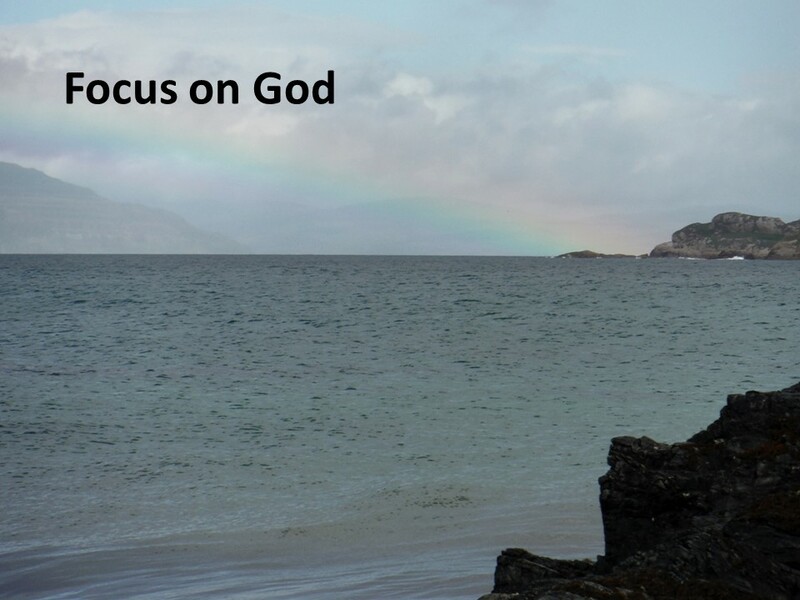 God is freely offering us grace which we are to accept on faith. Justification by faith has eternal implications. Imagine standing before the judgment throne. What are we going to say? I was a good guy? I was a good father, a kind husband, an honest employee, and a faithful son? I once helped an old lady across the street? I was once president of a Kiwanis Club? I taught a Sunday School class? Those are all good things, but how about the times we were less than honest? Or the times we weren’t very good. The times we were less than kind or faithful. The times we ignored one needing help or failed our kids, spouse, or parents? What about hurtful things we’ve said in anger? The list goes on and on. Does our good outweigh the bad on God’s scale of justice? How can we know where we stand? Justification by faith means our salvation isn’t in our hands. It is a gift from a loving God, which we accept by faith. When we stand before that throne, it is important that when it is our turn to speak, we can say with a clear conscience, “I have faith, not in myself, but in my Lord and Savior Jesus Christ.” Let’s hear what Paul says about faith. Read Romans 3:21-31. I still have the first Bible that I was given when I was in the second grade. The small print was difficult to read, even back then when I didn’t need glasses. The sheer number of words were overwhelming to a boy who really wanted to be outside playing baseball or running in the woods. Reading wasn’t high on my list of things to do at this age, and when I did pick up the Bible, I was drawn to the pictures, charts and maps on the back pages. It was around this time we went to the county fair. As we made our way under the big tents with booths advertising all kinds of stuff, there was an evangelist handing out little red books. I don’t know whatever happened to mine, but I kept it for years even though the book was sticky with cotton candy. Thinking back, I have to wonder if the idea of a Christian little red book was an attempt to counter-act Mao’s infamous little red book. But that’s speculation. 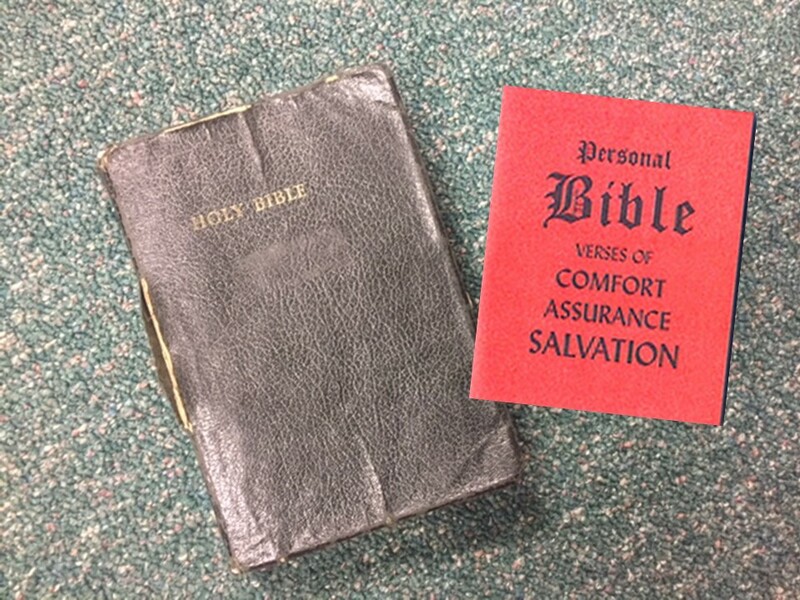 What I remember of this book, is that each page contained only a verse or two, supposedly about comfort, assurance and salvation. 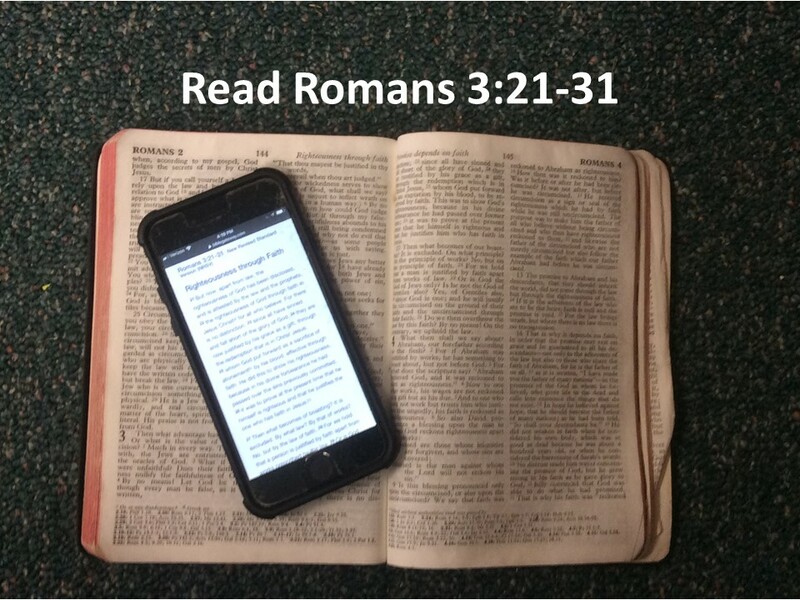 It was easy to read a verse at a time. And I would read and memorize many of the verses including Verse 23 of our reading this morning: “All have sinned and fallen short of the glory of God.” That verse got this 2nd grader’s attention. What? I’d been born into a depraved race? And I was no better off than everyone else? If there is one thing I knew as a boy, most boys know this, is that I’d done my share of bad stuff. And now I was assured that everyone else was bad, just like me. It’s amazing I wasn’t overwhelmed by despair. 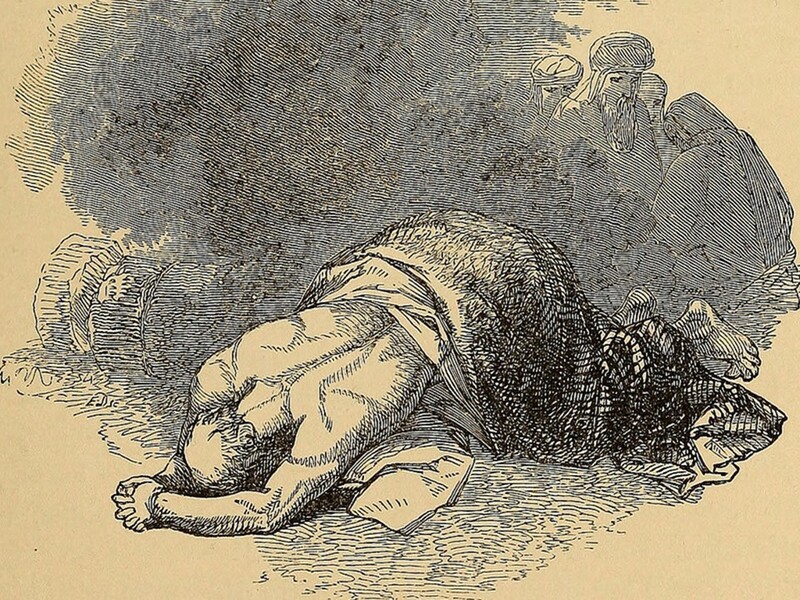 “All have sinned…” What hope is there for us? How is this good news? What comfort is there in knowing that we’re all messed up? What assurance do we obtain with this knowledge? I think it is a bit unfair that this verse was included without the following verses that speak of grace and faith. Today we’re considering the second great theme of the Reformation: Faith. Last week Deanie talked about grace. Our salvation is not something we do or achieve. Salvation is freely offered to us by a loving God. That’s grace! And we receive it by faith in Jesus Christ. Grace and faith are intertwined with the other Reformation solas, for our faith is in Jesus Christ, whom we learn about through Scripture. The idea that Salvation is a free gift of grace that one just has to receive by faith in Christ was a revolutionary thought in the early years of the 16th Century. After all, the church insisted on regular confession and doing good deeds. The problem was that even our good deeds might not be enough and how could we know? We might have to spend centuries in purgatory before having done enough penance to ascend into heaven. But through the study of Romans, Luther began to realize that it didn’t work that way. Salvation wasn’t something we achieved by actions and deeds. It was a gift to be received on faith. Luther’s insistence that salvation was by grace through faith radically changed the relationship between individuals, God, and the church. God isn’t a scorekeeper, but a loving father. The church isn’t a dispensator of salvation, but is entrusted with Scripture which allows it to be the messenger of Good News. And in the end, the individual isn’t beholden to the church, but to God. Our passage this morning marks a major shift in Paul’s letter to the Romans. Much of what he’s written to this point has to do with the sinfulness of the human race. He wants to drive home the point that we’re all guilty, that we are all sinful. And in verse 23, he brings this to a climax. “All have sinned.” BUT, Paul goes on, we can now be made righteous in Jesus Christ. We don’t have keep living in sin, nor should we throw up our hands in despair. God has created a way out. Paul doesn’t use the language of the cross in Romans, as he does extensively in some of his other letters such as those written to the Corinthians. However, here he does focuses on the sacrifice of Christ for our sinfulness, on Christ’s atonement by his blood, so that when we accept Christ we can find forgiveness. Christ is righteous and justifies those of us who have faith. 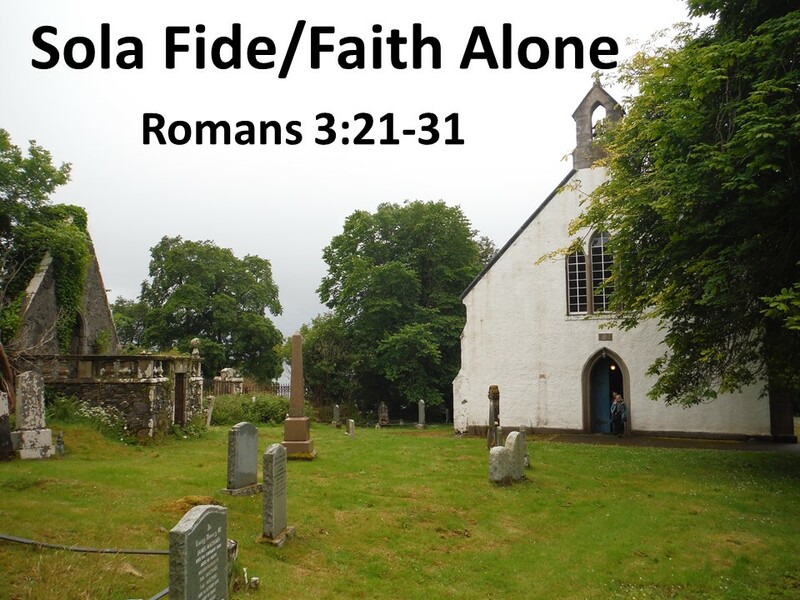 In verse 27, Paul changes tack and speaks of the implication of our faith. 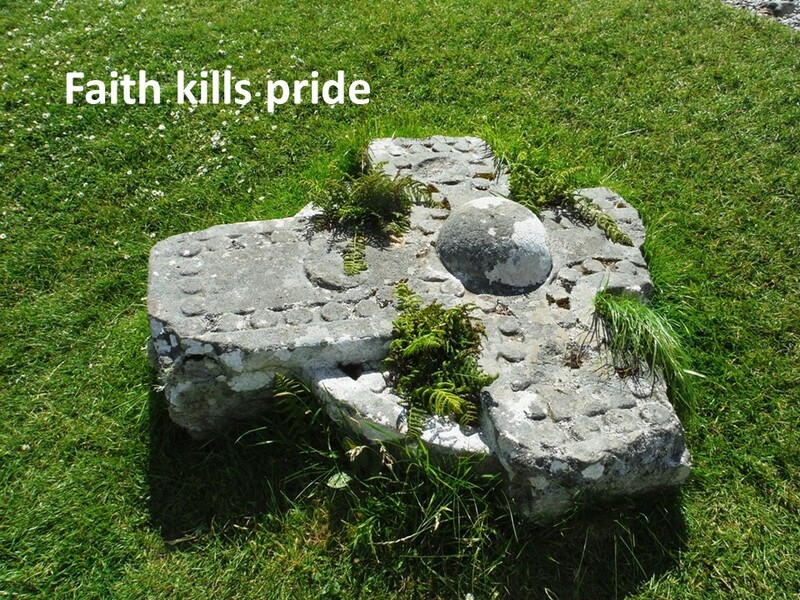 Faith kills pride. 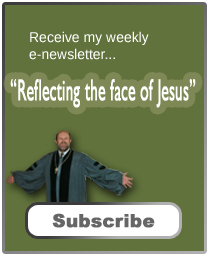 To be justified by faith and not our own acts or deeds means that we can’t brag about it. Go back to that image of standing in front of the judgment throne. If the only way we are made righteous is through faith, we aren’t going to be there saying, “God, let me tell you about all the good I’ve done.” Instead, we will be humbled and we will bow our heads in reverence and look down at our feet and mumble, “the only chance I have is that I have placed my faith in Jesus Christ.” Bragging about our faith isn’t a Christian trait! Martin Luther, in his commentary on Romans, says that our efforts to keep the law “puffs up and increases vainglory,” and that those who strive for righteousness are seeking to be able to boast about their works. Of course, the law has a purpose, for it helps us to see our need for grace. It’s only when we accept the grace offered by faith do we have eternal hope. Almighty God, your love for us in Jesus Christ is so great. We know we are sinners. Fill us with your spirit and help us place our faith in Jesus Christ, trusting that in him we have been cleansed and made righteous in your eyes. And when this life is over, receive us not upon our good deeds, but upon the word of the one we call Lord and Savior, Jesus Christ. It is in his name that we pray. Amen. 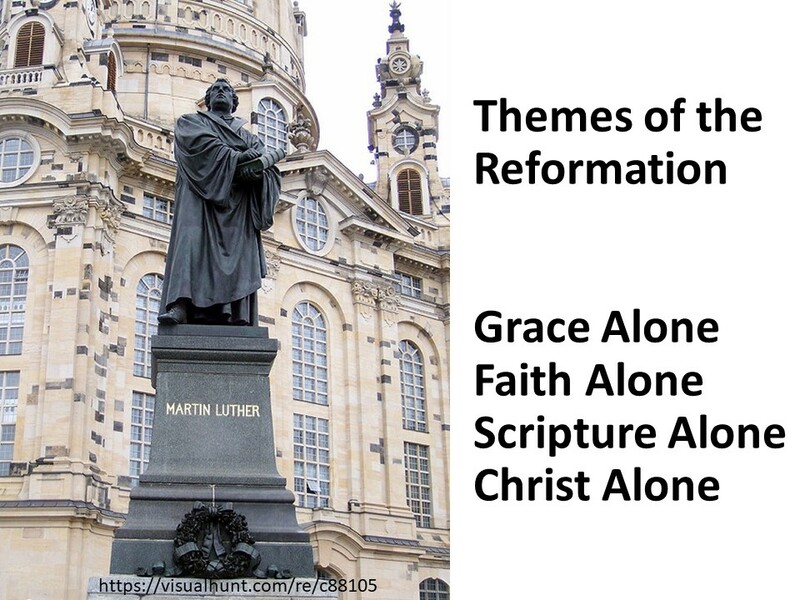 Luther first discovered the freeing understanding of grace and faith. It wasn’t until 1528 (in Confessing Concerning Christ’s Supper) that he (as had other Protestants already done) abandoned his belief in purgatory. He had earlier suggested it had no biblical foundation, but was primarily concerned in that humans could not help someone out of purgatory. Carol Hochhalter, “A Series on the Five Solas of the Reformation,” Reformed Worship 124 ((June 2017), 8. Krister Stendahl, Final Account: Paul’s Letter to the Romans (Minneapolis: Fortress, 1994), 22. In Romans, Paul doesn’t use the word “Cross” and uses “Crucified” only once, in reference to the death of the old self (Romans 6:6). He uses the term cross 2 times in the first letter to the Corinthians, and uses crucified 6 times in both letters. Martin Luther, Commentary on Romans, J. Theodore Mueller, translator (1954, Grand Rapids, Kregel, 1976), 79-80.